Preheat oven to 375 degrees. In a skillet, heat butter and olive oil. Saute onions until soft and carmelized. Add the green onions and the chives. Set aside to cool. In a bowl, mix the egg, heavy cream, and salt. Stir into the onion mixture. Lay puff pasty out on a lightly floured cutting board. 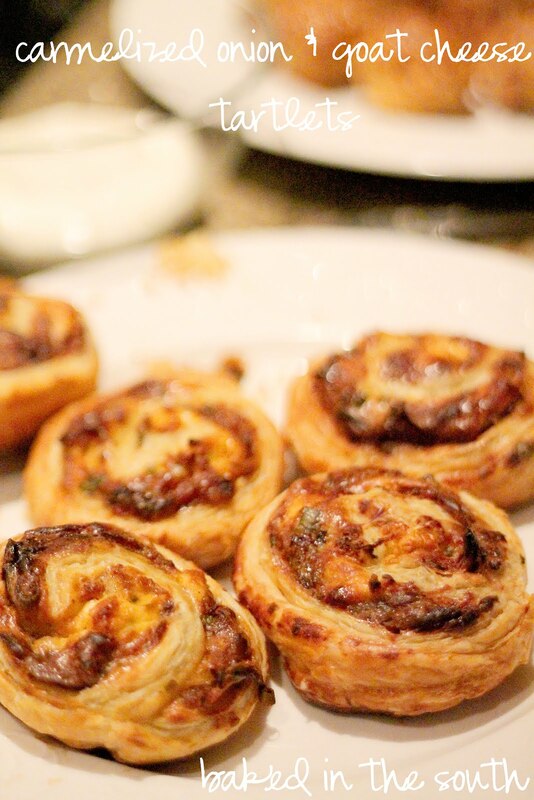 Spread the carmelized onion mixture on top of entire puff pastry. Crumble the goat cheese on top of onion mixture. Roll the pastry jelly roll style, from the short end, into a roll. With a sharp knife, slice the roll into 1 inch pieces and lay flat on a greased baking sheet. Bake for 25 minutes until brown.